Ever since making the Crispy-Outside Creamy-Inside Garlic Herb Potatoes, I have been totally and utterly obsessed with making the perfect potato side dishes. When done properly, potatoes can actually be the stars of your meal, and they fly off the plate like nothing you’ve ever seen before. Especially if that plate happens to be placed conveniently in front of this spud-loving lady right here. It’s no secret that I love all things potato-y. Mashed, fried, roasted, sauteed, boiled, steamed, or baked, I’ll take ’em. But one of my favorite ways to enjoy potatoes has always been in the form of salt and vinegar chips. There are two sorts of people in this world. Both of these types try their first salt and vinegar chip and scrunch their face up at the shockingly intense vinegar flavor. However, the first bunch thinks, “These are terrible, I don’t want any more!” while the second thinks, “I am not going to be able to tear myself away from this bag.” I am in the second group, and if you are too, you’re in the right place. 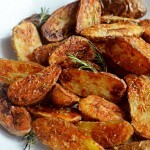 Salt and vinegar chips aren’t really considered a good side dish, but what if you make salt and vinegar potatoes? 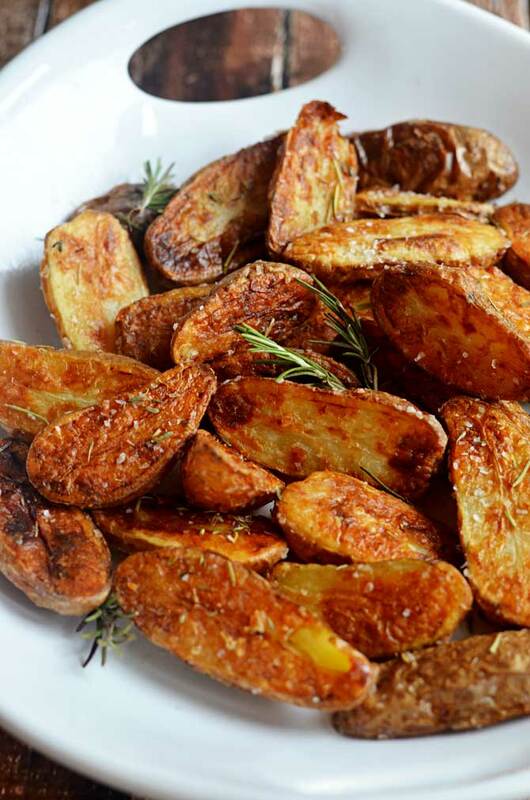 Specifically, Crispy Sea Salt and Vinegar Roasted Potatoes? That’s a side dish that I could eat every day. I tweaked a Martha Stewart recipe a few times to get these to be as crisp as possible while maintaining a creamy inside, and tried to get a bit more vinegar flavor as hers were pretty weak. These still are much less vinegary than the chips, but the classic flavor combo is definitely there! 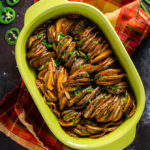 Enjoy these year-round, whether they’re a side dish for a summer barbecue or winter feast, and watch your guests go crazy for them! Bring the water to a boil in a large pot. One it reaches boiling point, remove it from the heat and add in the vinegar and a tablespoon of sea salt. Stir until the salt dissolves and then place the potatoes in the pot. Let the potatoes soak in the vinegar mixture for an hour. Preheat the oven to 450 degrees F. Drain the potatoes and pat them dry with a kitchen towel. Toss the potatoes with a tablespoon of the oil, the cornstarch, and a teaspoon of salt. 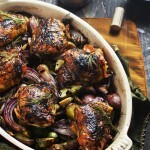 Toss well, and then drizzle the remaining tablespoon of oil on a walled baking sheet. 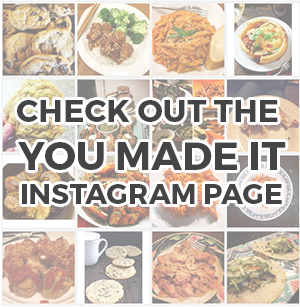 Put the baking sheet (without the potatoes on it!) in the oven to heat up the oil for 3 minutes. Spread the potatoes on the baking sheet, sprinkle with a bit of rosemary, and place back in the oven for 35-40 minutes, flipping the potatoes and rotating the baking sheet half-way through. Once the potatoes are crisp, remove them from the oven, sprinkle with additional sea salt, and drizzle with a bit more vinegar. Garnish with fresh rosemary and serve warm. These sounds like the perfect side! Potatoes are great, and vinegar plus potatoes is an awesome flavor combination. I’m going to have to make these to go with my next grilling adventure! My potatoes did not turn out anywhere as good as this picture looks. MIne did not brown nor did they become crisp or tender on the inside. Infact, most of mine were still rather firm. I baked these for 55 minutes, also. I’m sorry to hear that, Georgia. 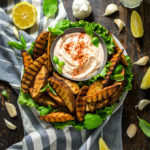 Did you use fingerling potatoes or did you perhaps make any adjustments or substitutions in the process? I’d like to try to figure out together what the issue was so we can prevent it from happening again! The only thing I can really imagine is that the water wasn’t hot enough before adding the potatoes and letting them sit, or perhaps if the potatoes were larger or a different sort, they might have required a tweaked cooking time or temp. Hopefully we can get to the bottom of this! Mine did not turn out well either. I used fingerling and followed the recipe ~ the cornstarch stayed white and laid on top of the potatoes. They were too greasy as well. These were a major fail for me as well. I wasted two hours. After letting them sit in HOT water for an hour they were not fork tender. So I googled and found Maratha Stewart’s recipe. You have to boil the potatoes first then let them sit in the vinegar and water as they did not soften. Melissa, I’m sorry to hear that they didn’t turn out for you! The potatoes should not be completely tender after an hour– they bake for an additional 35 to 40 minutes in the oven so your potato halves do not need to be completely soft before they go into the oven, but they should be decently softened as long as they’re cut into halves before they’re put in the hot water. I’ll make these again soon and see if there’s anything I can spot that might be causing difficulty. So sorry again about them not turning out for you! these turned out fantastic!!! I followed the recipe ((almost)) exactly and not a problem. The only switch I made was I used fresh baby potato from the farmers market. I’m guessing the ones that found they didn’t cook well was cuz they were too big and needed to be cut down a bit. These were gobbled up by kids and adults alike, no leftovers 🙁 thanks for the recipe that we will now be making regularly. I made these tonight , the only thing I changed was I used small yelw potatoes and quartered them. They came out perfect! I made these and I have to say, it’s a keeper. so good. 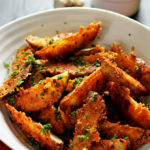 I used small red and white potatoes and sliced them into thinner wedges. My first attempt was a success! I’ve been making these for several years and they come out amazing every time. We can’t get enough of them! We just tried your recipe tonight. The taste was great but it looks like I’ll have to do some tweaking on the recipe to get the potatoes to brown up like yours did. 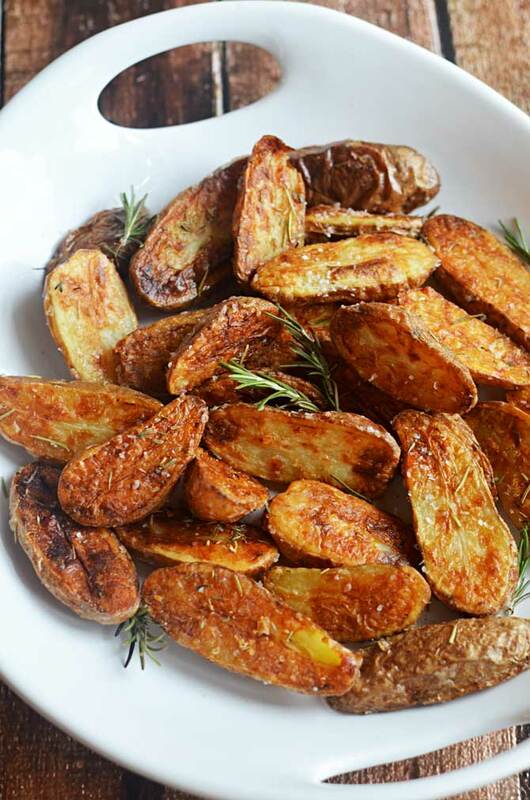 We used wedge sliced russets instead of fingerlings. That may have thrown things off a bit. Not perfect results but very much worth trying again. I might experiment with the pre-soak and make some fries too. I make something very similar but they have LOTS of vinegar flavor. I don’t boil the potatoes in water. I boil them in white vinegar and then leave them to soak in it for 30 min. after cooking. They soak up so much flavor! Then I pat them dry on paper towels, salt and bake until crispy.